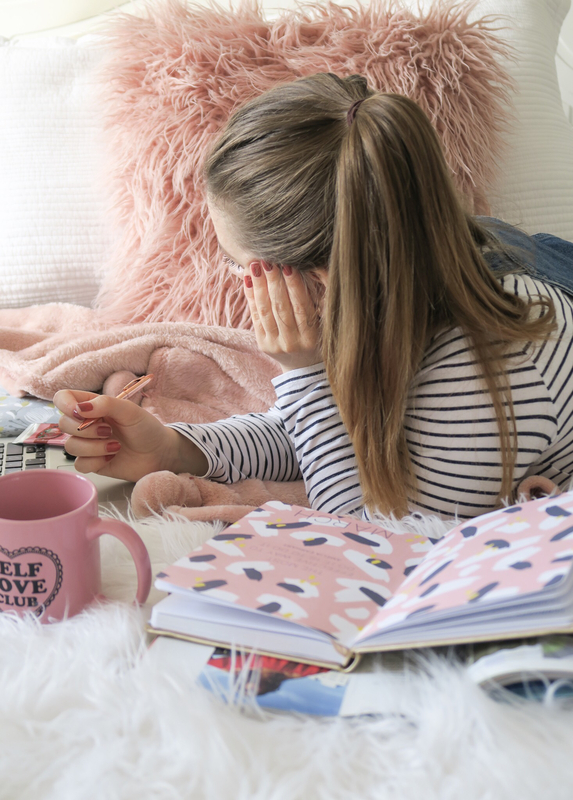 Fellow bloggers will understand just how hard blogging can be sometimes, especially when thinking of new and exciting content. Sometimes we find ourselves stuck with a bit of writers block, unable to think about what we want to write for our next post and therefore feeling defeated by our lack of great ideas. Every blogger or writer will be able to relate to this situation. 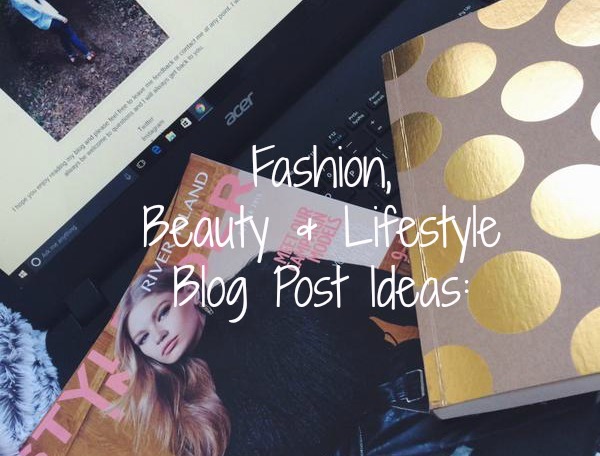 Therefore, I have put together 30 Fashion, Beauty and Lifestyle related post ideas. Feel free to take a browse, jot a few down and save them for when you experience a block. I hope you find these lists helpful and that they are able you to get your writing spark back! Outfit of the day or outfits of the week – share your outfit(s) choice(s) of the day or week! Hauls – everyone loves a haul! How to style – show us how you style a particular item different ways. Celebrity style – who’s style do you love? Basics you need in your wardrobe – what basic pieces are great investments? Product review – review some of your latest purchases or share your opinions on some of your favourites! What’s in your make-up bag – let’s be honest, we all are a little nosey and would love to see some of the products you’ve been using lately. Dupes – Have you got any high end dupes that are drug store and super affordable? Let us know! Beauty wishlist – what are you obsessing over at the moment and is making you wish pay day would hurry up. Favourite hair or skin products – What do you use on your skin on a daily basis? Or what products do you find work for your hair? What beauty advice would you give your younger self? We all have some embarrassing memories of those bad make-up days! The best of a brand – whether you’re a Mac, Benefit, Rimmel or Maybelline lover, we want to know more of your best products from a specific brand! Tips on how to relax and unwind – share us your tips on how you relax and unwind after a busy/stressful day. Your goals – let your readers know all about your goals for the week/month/year. Blogging tips – share some of the blogging tips you’ve learnt. Baking/Cooking recipe – everyone loves food, share one of your favourite recipes for others to try! Personal Experiences – if you’re comfortable enough, talk about a past experience and how you overcame it! It may also help others. Share your money saving tips! Host a give away – a great way to get your readers involved and bring in a wider audience! Places you’ve visited/want to visit – share your travel memories or dream places you to want go! I hope that at least some of these blog post ideas were at least helpful to you for right now or maybe in the future. Don’t be afraid to share some of your own ideas and let me know if you decide to use any of the ones mentioned above.